The fermentations of the reds have all been finished since the start of October. We then leave the wine in the tank with the skins to extract colour and flavour. Once they have sufficiently extracted, we need to press the grapes and skins to extract the wine. We did our first pressing last week and pressed again last Sunday. 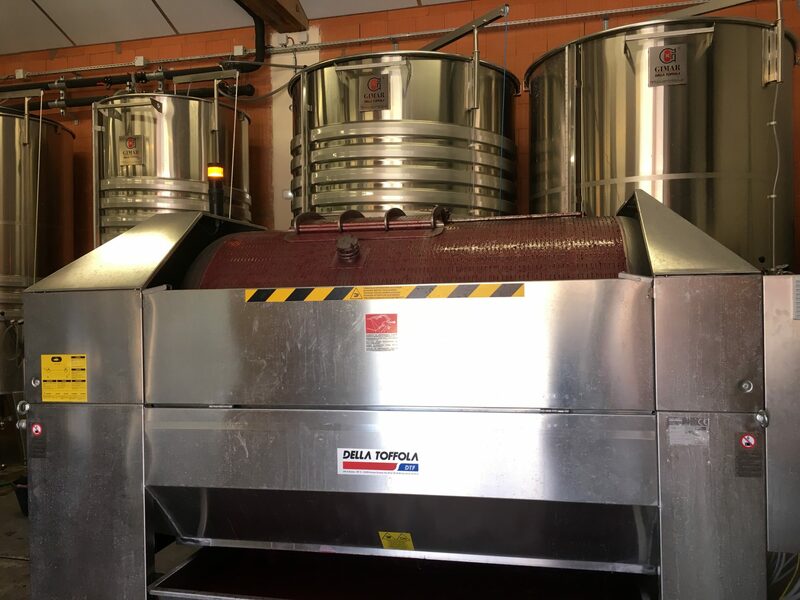 We’ll finish up by pressing the Cru Vinsobres Grenache at the beginning of next week. Here’s a photo of the press in action. The grapes are pumped into the perforated drum. In the centre of the drum is an inflatable rubber bladder which (when inflated ) presses the grapes against the drum to extract the wine.